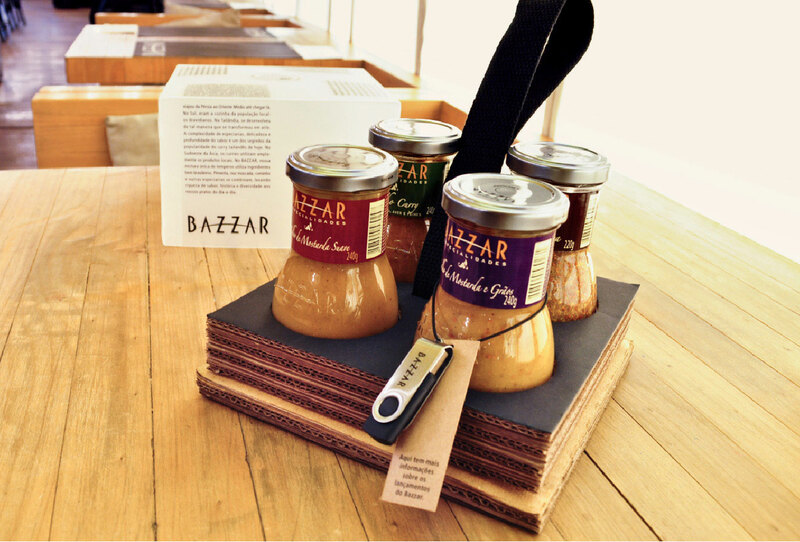 The work developed for Bazzar has the seasoning of contemporaneity, the personality of the restaurant. The menu line, for instance, which is differentiated [for each environment] and integrated. Another example is the kit developed for the launching of the line of sauces and mustards, which was specially prepared for the press. In addition to being self-supporting, it brings the print release in a novel way, on the very lid.